1. If you're new here, you may not know that we are HUGE March Madness fans in our house! Of course we all make brackets, but every year Ella's bracket seems to be the best one out of any of us! Her first March Madness (2014) she correctly predicted Mercer's upset over Dook, and last year she correctly predicted NC State would make it to the Sweet 16. 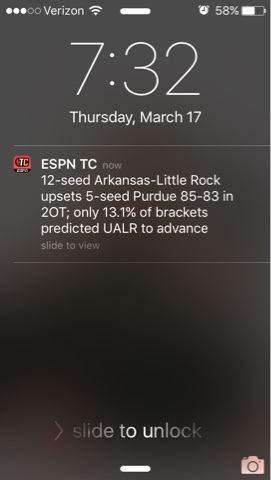 As of 7:30 last night, Ella still had a 100% perfect bracket, correctly guessing the Yale and Arkansas Little Rock upsets! Pretty sure she's a genius (or just really likes the letter Y and thought UALR's mascot was a mouse). She also picked Yale to beat Dook, so we will see how that turns out for her! 2. I hit up my last consignment sale of the season Wednesday! Apparently every pregnant person in the Charlotte area is having a boy this summer, because I couldn't even get through to the 0-3 month boy section! 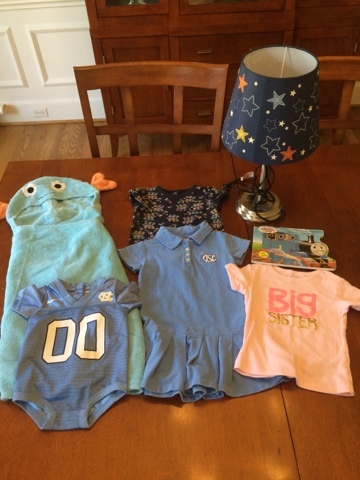 I did manage to find that UNC onesie for him because they had a separate sports teams section, which was great! Also, pretty excited about finding that lamp for his nursery for a whopping $8! Happy to report that Ella's ear infection is completely gone, and she is perfectly healthy! She's 30 pounds even (82 %ile) and 34.8 inches (75 %ile)! 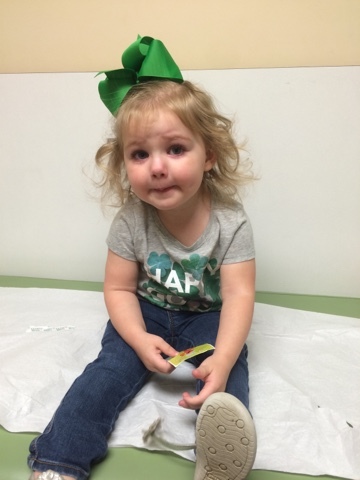 She did have to get one shot (which is why she's sad in the above picture) but took it like a pro and even got TWO Elmo stickers! 4. 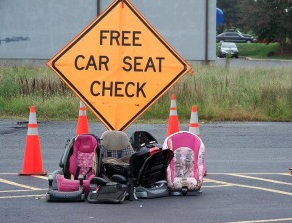 This morning, we went to another car seat check at Britax. Even though we just got Ella's car seat checked in October, I wanted to go again, this time with the baby seat to make sure they both fit in the backseat of my car! 5. I am so sad it is supposed to rain all weekend!!! We have so many fun things planned, including our neighborhood Easter egg hunt on Sunday! And it's supposed to rain next weekend too!! 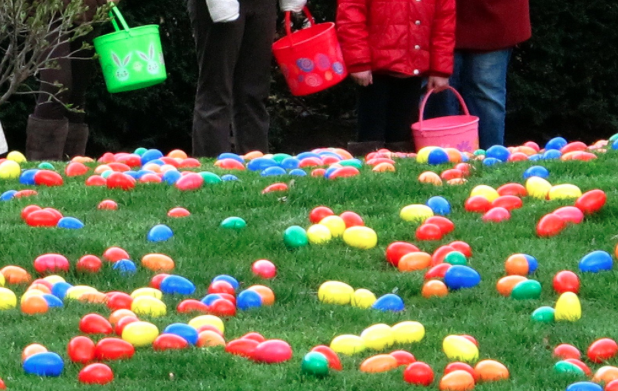 How in the world are we supposed to do all of these fun Easter things if it's raining?!?!? Looks like we will be watching a lot of basketball this weekend instead!